Lexus is celebrating the 10th anniversary of its ‘F’ sports models. 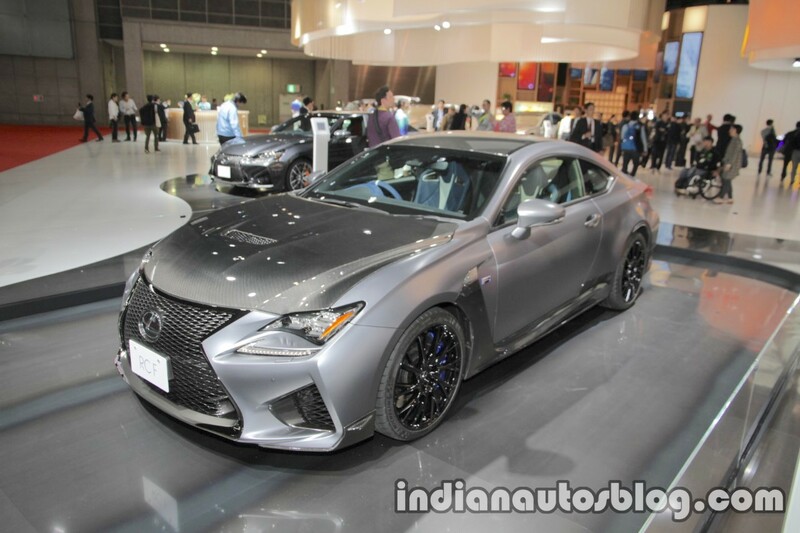 Commemorating the event, the company has unveiled the Lexus RC F 10th anniversary edition at the 2017 Tokyo Motor Show. The Lexus RC F 10th anniversary edition is a limited-edition model with special styling and performance upgrades. Lexus has used CFRP (carbon-fibre reinforced plastic) in the car’s aero kit. The special edition RC F’s features matte grey body colour, which goes perfectly with its aero kit and the carbon roof and hood. Inside, it has a black-blue colour scheme. The blue accents are in the “F” symbol’s “Heat Blue” shade. The Lexus RC F 10th anniversary edition’s performance upgrades include performance shock absorbers, which improve the steering stability, and lightweight titanium mufflers. Powering the vehicle is the same 2UR-GSE 5.0-litre V8 engine from the standard model. The naturally aspirated petrol engine produces 477 PS at 7,100 rpm and 530 Nm of torque from 4,800-5,600 rpm. The 8-speed SPDS automatic transmission directs drive to the rear wheels. The Lexus RC F 10th anniversary edition will go on sale in Japan around spring 2018 (March-May 2018). Lexus is yet to release the special edition model’s price and the number of copies it will make available.